How do we Support Ageing Couples ? Elderly couples have often lived together for 50 years or more – they rely on each other completely and have never known anything different. When it gets to the stage when one half of a relationship needs a permanent level of care, it is difficult for both sides to accept. The last thing elderly couples need is to be separated from one another at this already sensitive time, if one is admitted to a care home. 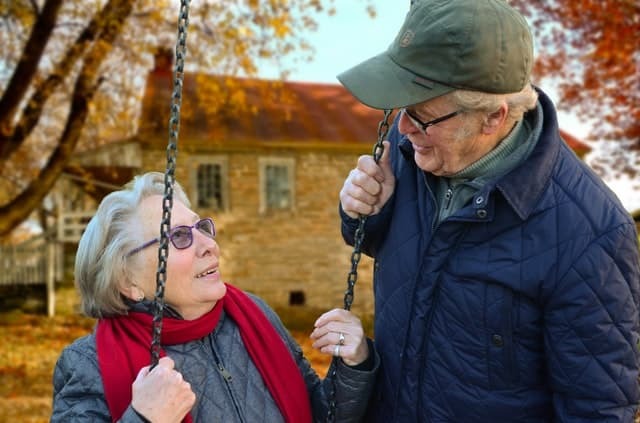 We now have an ageing society, and as humans are living longer it is more likely that couples will have to be separated at some point if their health deteriorates at different rates. It’s known that relationships are essential for health and wellbeing in later life, yet many older people are having to cope with living apart from the most important person in their life, their spouse. Unfortunately, it is becoming more likely that couples will not be able to share the last days of their lives together at home, due to one or both people being moved to a care home. If one partner requires a higher level of care than the other, and the other partner can’t cope caring alone, then they usually admitted to a care home. This is a sad circumstance and can be quite distressing for both people involved – most couples would have been together since they were teenagers. One person will have to adapt to co-living in a care home while the other will have get used to living alone in the marital home, which can be even more difficult. The majority of residential care homes cannot accommodate couples, and those that do are very expensive. This also isn’t an option if one half of the couple requires no care at all or have responsibilities at home, such as a pet. Both people in the home require complex or advanced care – this is achieved with two carers. We believe that couples should stay together for as long as possible. Contact us today to find out how live in care could improve your final years, and the details of our couples care packages.